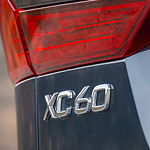 One good factor in the vehicle is that there are options in the trims that you can choose from with the XC60. Among the trims you have are Momentum, R Design, and Inscription. This gives you plenty of options when it comes to the type of the vehicle. Another set of options you get with the vehicle are weather based options which include rain sensing. This will help you prepare for when there is a change in the weather that involves anything from a sprinkle to a rain storm which can interfere with your ability to see.